When Time Magazine named this “The best fiction book of 2012,” much was made of the fact that it was published as a Young Adult novel which would make it a first for Time’s prestigious award. The fact that this is an outstanding bit of writing—regardless of the genre—supports the theory that good writing is ageless (just reread Where the Wild Things Are or Tale of Peter Rabbit to see my point). John Green has become something of a “rock star” among young readers due to his bestselling books and his wildly popular social media presence. With The Fault in Our Stars, however, he has written a novel that touches on such universal truths and emotions that anyone any age and any gender can, not only relate, but come away with the knowledge that they are enriched in a lasting way. Part of the reason for this is the story itself: two teens meet in a cancer support group and give each other what is needed to traverse the “rough waters” of terminal cancer. So how can such a tale be hopeful, uplifting, even joyous? 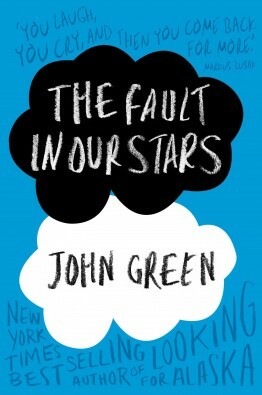 It’s due to the beauty of John Green’s writing and the voices he gives his main characters, Hazel and Augustus. Maybe it’s their medical prognosis, but these two speak the truth, holding nothing back, and the reader revels in the strength of their spirits. At once, humorous, tender, poignant, tough and ultimately uplifting, The Fault in Our Stars is a book not easily forgotten. Mary Grey James is Manager of Books for Young Readers, Parnassus Books, Nashville. She has been in the book business since the early 1970s, starting with her own store in the French Quarter Of New Orleans. She has managed Loyola University Bookstore, New Orleans, been National Accts. Mgr. for Harcourt Brace, New York, Sr. Product Mgr. (fancy name for buyer) at Ingram Books and a Partner in East West Literary Agency.